Perhaps you were with me a year ago, when we discussed resonances. We’ll repeat a little of that today, but this time we’ll focus on the damage that is often caused by resonances. 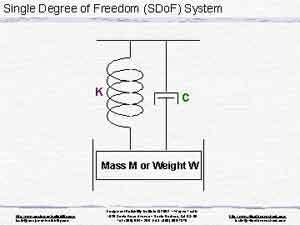 And create a classical SDoF or Single Degree of Freedom system. 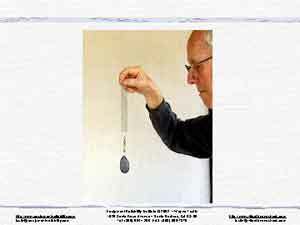 In this next slide I’m holding one of my teaching tools … a soft spring that is stretched about 6 inches by gravity pulling on a 4 ounce fishing sinker. That is, the static deflection is about 6 inches or 150 mm. drawn with a different fraction of critical damping. Let’s imagine inverting that SDoF system and attaching it to a shaker … a controllable source of mechanical vibration that is suitable for vibration testing. 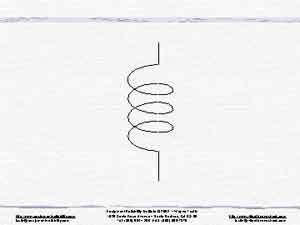 We used video clips last year to demonstrate that this simple system has one resonance. At a particular frequency, the vibratory response was significantly greater than the vibratory input. If you do not have Real Player to watch the video above, just click here to download it for free. If this were “live”, I’d use three video clips of a pair of cantilever beams to show you first mode responses of that pair, first with 22 Hz shaker sine forcing, then with 34 Hz sine forcing. Then we’ll switch to 0-100 Hz broad spectrum random forcing, something like road inputs to your automobile. Click on the image to see this video clip. What, in the “real world,” might those three video clips represent? This next sketch represents a card carrier filled with PWBs or printed wiring boards. With sine forcing, one board at a time responds, when shaker ff matches that board’s fn. None will deflect far enough to strike its neighbor. But with random forcing, all respond simultaneously. Boards striking adjacent boards will be common. Damage will ensue. Plate responses are more complex because of the extra dimension. I wish you could see the animated responses of this plate while a shaker sweeps upward. Nothing happens till we excite the first resonance at 174 Hz, then nothing until we excite the second resonance at 258 Hz, then nothing till we excite the third resonance, at 341 Hz. And there are more resonances, as we go higher. I hope you can understand that that plate represents one of your printed wiring boards. Yes, when vibrated, your printed wiring boards can twist and bend in those and additional patterns. You might be doubting me, thinking that your PWBs don’t flex. Yes, they do. Mentally expand your cards to maybe 10 feet x 15 feet. Now can you visualize your cards flexing as in the three animations? Of course the displacements on real cards are small, but they can damage wiring on card surfaces, can damage the attached chips, but most damage is between cards and chips. Let’s “hunker down” and look under a chip. Can you see the connections that will open and close when the card flexes? One of our courses teaches you how to predict the frequencies at which your cards resonate, and the patterns in which they respond. You will learn where not to put your more delicate components. Getting away from PWBs, and speaking in general terms about structures, they do respond in a number of patterns. These sketches show four of the many possible modes in which a flat slab (an optical table) responded to some input. The peaks here show the frequencies at which each resonance occurred. Observe the dramatic lessening of the peaks and the notches that was achieved by adding internal damping. Those and about 1000 more PowerPoint slides, many of them animations and video clips, support my 2004 Vibration and Shock lectures. Much more theory than we’ve touched upon here. Measurement. Analysis. Calibration. Testing. HALT, ESS and HASS. Will you join me? Thanks again to B&K and to IEST!